Its one thing to rent chairs and tables for a family cookout, however to rent for your next reception, banquet, or party, it’s time to step it up a notch. Take your rental game to the next level by following these simple steps. 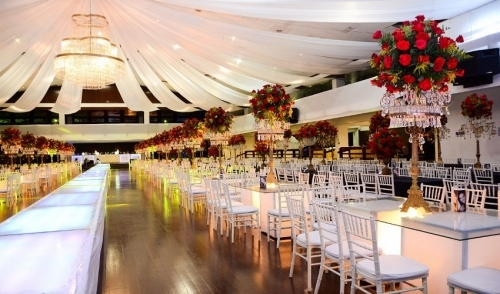 First, always remember renting for your receptions, banquets, and parties is easy, but planning is hard. This is where mistakes can happen or equipment can become unavailable. First, start by scouting venues. It sounds simple, but this may be the hardest step. There are probably tons of local venues in your area you can choose from, but only one is going to be perfect for your guest. Think about your audience and book a venue that is suitable, tasteful, and will leave the crowd stirring. There are so many possible options available from aquariums to your local fine dining restaurant and even your local post office. The weather, number of guest, age group, and occasion are all going to play a role in which venue you decide to rent out. Do your homework and pick one that is fun and affordable near you and your guests. Depending on the venue you choose to rent, you will need to decide on tents, tables, and chairs. A useful tip is to always book more than you need. This will make adjusting easy for everyone involved. In addition, double check with your venue to make sure renting chairs or tables are even needed. Many local banquet venues already keep equipment like chairs and tables on site to help sweeten the deal. If so, then you’re off to a great start and its one less thing to worry about. Just make sure set up is included, or you may need to hire a little assistance. If the party or reception is outside, rent the right amount of tents to provide shade and comfort for your guests. Getting dressed up can already be uncomfortable enough for most people. Let’s not make it worse by leaving your guest out to bake in the heat of the summer. Once your venue is squared away and you have rented the equipment you need to fill it, it’s time to start fine tuning. This includes everything from catering tools to table cloths, and even glassware. All of these items can be rented for your event. The main objective here to leave no stone unturned. As mentioned earlier, picking up the phone or visiting your local rental facility can be easy compared to the thought it takes to actually make it all happen. If you have ever been to either a really good reception or a bad one, you will know what I’m talking about. Renting everything you need for your next reception or party is the most cost effective way to achieving the success of a great event. Follow these easy and simple steps, and your next event will flourish in the eyes of those who attend.